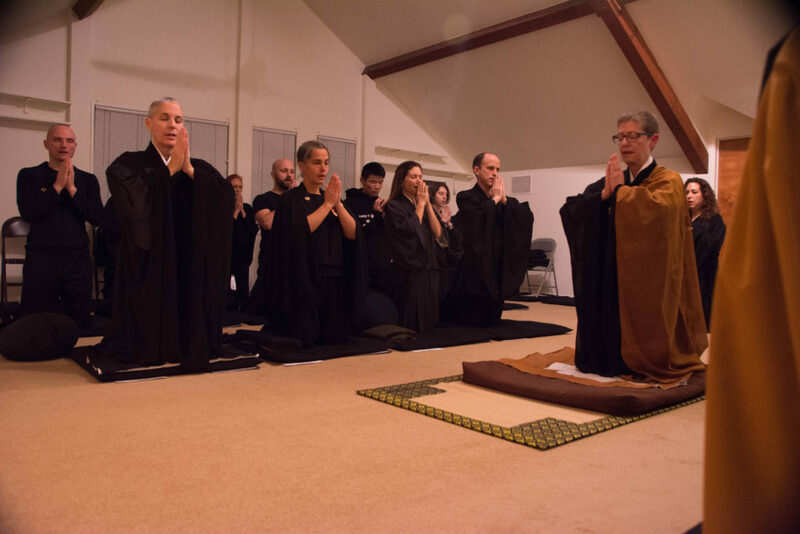 Fusatsu, our service of atonement, is one of the most beautiful and profound ceremonies in the Zen tradition. We perform it monthly, usually around the time of the full moon. In doing Fusatsu, we acknowledge the truth of suffering caused by our own ignorant view of ourselves as separate from the world we inhabit. We atone for the beginningless greed and anger that arise because of it. This purification repairs wholeness and restores harmony. The service begins by reciting the Verse of Atonement and the names of the buddhas and bodhisattvas. This is followed by a renewal of vows, a rededication to live in accord with our own original nature, undefiled and unperturbed. Accompanied by bells and punctuated by full bows, Fusatsu is wisdom that we fully realize not merely by recitation, but by actual embodiment. The ceremony is central to our practice and vital to the peace we each seek.